Joel Pereira, Phil Jones (both injured) and Wayne Rooney (recovering) out. Matteo Darmian & Luke Shaw stayed in Manchester. Ander Herrera suspended. Alexander Søderlund, Cheikh M’Bengue and Oussama Tannane doubtful (injuries). 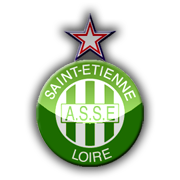 Association Sportive de Saint-Étienne Loire (commonly known as AS Saint-Étienne, ASSE, or simply Saint-Étienne) is a French professional football club based in Saint-Étienne, playing in the Ligue 1. AS Saint-Étienne was founded in 1919 by employees of the Saint-Étienne based grocey store chain Groupe Casino under the name Amicale des Employés de la Société des Magasins Casino (ASC). The club adopted green as its primary color mainly due to it being the principal color of Casino. Saint-Étienne is, arguably, the most successful club in French football history having won ten Ligue 1 titles, six Coupe de France titles, a Coupe de la Ligue title and five Trophée des Champions. The club's ten league titles are the most professional league titles won by a French club, while the six cup victories places the club third among most Coupe de France titles. The club achieved most of its honours in the 1960s and 1970s when the club was led by managers Jean Snella, Albert Batteaux, Robert Herbin - and players like French legend Michel Platini, Dominique Rocheteau, Bernard Bosquier and Hervé Revelli. Saint-Étienne's most prominent rivals include Olympique Lyonnais (with matches between them referred to as the Derby Rhônealpin) and Nantes. They play their home games at Stade Geoffroy-Guichard. Why is this played on a Wednesday? Play a good mix of first and second team and seal a result without using too much energy. Can see this being a draw or a close loss personally, their fans will be electric. Good thing this is on a Wednesday to give us extra rest for the final. Id rest Pogba, Mata, Ibra, Valencia. Maybe one or two more. Is Jones going to be back? I'd go with the same team as tonight but with Schweini in place of Herrera. Another game where I have no idea who will play. Come on Jose, use this to give players who need minutes some good competitive action against a desperate Saint-Étienne. I'd love the likes of Shaw, TFM and even Tuanzebe to be in contention, with the former a sure pick if he is to have an impact for us before May. Whys this on Wednesday? Because of the final next week? First priority is to be defensively sound, then in attack we can afford to rest some players. Because nearby Lyon are also playing at home on Thursday. Due to Saint Etienne having a lower UEFA coefficient, they have to reschedule the game to another day - the only day being suitable is Wednesday evening before all the Champions League games. Like you said, works out well for us in regards to preparation for the EFL Cup Final. Pogba will definitely play with Herrera out. With a Fellaini, Carrick/Bastian midfield a comeback would not be out of the question. It will be Pogba, Fellaini on Wednesday. Then for the cup final, only Pogba and Mata start from this group. No need to tire anyone else out really. We have a 3-0 lead, Carrick pogba and Mata should be enough to control the game for us, Jones and Rojo are solid together, the fullbacks can put in decent performances, then the front 3 are a bit meh but if there's a game to play them, then play them here. I think a draw would suit us nicely and the team we saw in the 1st half are definitely capable of getting a draw. No interest in this match apart of trying some benchwarmers and keep the tie protetcted. St.Etienne will probably play for pride against so big opponents. 1-0 St.Etienne to me. I generally agreed with you, but think you are being too positive about the physical recovery of some of the players who did play today, specially those who are also going to start against Southampton. Drab 2-1 loss is almost guaranteed. Fellaini is an absolute cert to start after not playing today. Something along the lines of this..
Would start Rashford again but not Martial. Title says Thurs, this is Wednesday right?? The only one I could see being an issue is Mkhitaryan, so maybe Lingard will start in place of him or we'll use a 3 man midfield with the mop. I don't think we'll go that strong. Jose will go all out to get that 1st trophy in the bag next Sunday & this game is virtually a dead rubber with all due respect to AS. Yes, Wednesday at 18:00 CET. That's true, and Fellaini-Basti definitely surprised us all in the FA Cup game against Wigan, but I don't think we can afford risking him against a side who really gave us a few tense moments in the home fixture. The latter really hasn't played anywhere near enough football against a side worthwhile, and we certainly shouldn't underestimate St Etienne by getting complacent. Let's get the good ole Jose bus-parking tactic and see this out. Should try for a 6-3-1 and watch their futile attempts to break us down. A nice dull uneventful 0-0 game would be fine. But I think they will Attack, attack,attack so hopefully we can hit them on the counter early and not make this a nervy affair where we end up being worried about even getting through. 5pm kick off is a pain in the arse. Why so early?